Starring: Mark Wahlberg (The Fighter), Taylor Kitsch (Savages), Emile Hirsch (Killer Joe), Ben Foster (Contraband), Eric Bana (Black Hawk Down) and more. Directed by: Peter Berg (The Kingdom, The Rundown). Tense, trying, tenacious and tough: All words I would use to describe this intense “BOATS” (B.ased O.n A. T.rue S.tory) film centered around the failed mission of four Navy SEALs. 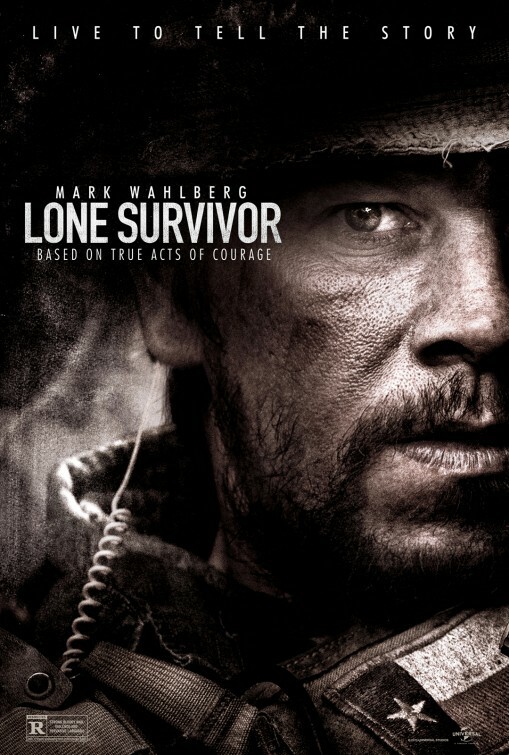 Co-written by the lone survivor himself, Marcus Luttrell, Lone Survivor is a non-stop tasteful tribute to the mission, its men and the events that transpired in the mountains of Afghanistan (and is filmed in my state of New Mexico). I hesitated to watch this film of bullets, brotherhood and battle at first venture simply due to the fact the the title already told me what had to happen before the credits roll…only one would survive, meaning the other brothers in arms would end up losing their lives. This is, of course, no surprise (read the title! ), however I knew it would be a rocky emotional road as the bonds of brotherhood are forged so strongly and depicted so well in films such as these (Black Hawk Down, Band of Brothers, Saving Private Ryan)…and the fact that the story is true also played a part in my apprehension. On this side of watching it, I am now even more grateful to our servicemen and women who put their lives on the line every day for freedom and the right for liberty. Almost every scene in this film is tense and prompts flinching, grimacing, gasping, crying, cheering, mourning and honoring from every viewer. 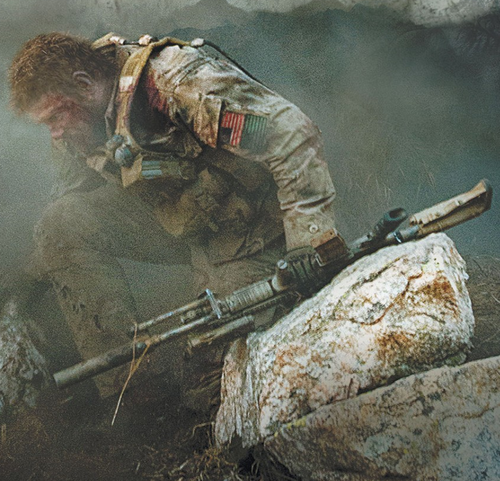 With a talented cast chosen for the roles from Mark Wahlberg as Marcus Luttrell to Ben Foster to even Taylor Kitsch (who gives an impressive performance) and Alexander Ludwig, Lone Survivor tells its tale with emotion through the eyes of the soldiers and never shies away from the hardship of the terrain, the terror and the trials that they faced on the battlefront. While the end may very well be predictable given the account of what really happened (much like Zero Dark Thirty), the journey is one that is unforgettable (and should be, as opposed to films such as Act of Valor…my review HERE). All sorts of emotions rise inside while expecting the unexpected and yet shock still occurs when certain events transpire. 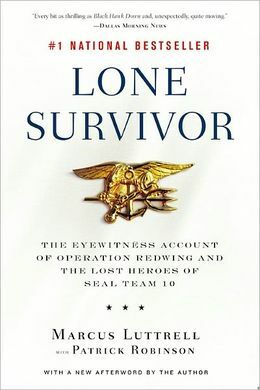 One side note to mention about Lone Survivor is that, unlike several wartime films, this one also makes a point to show that not all peoples in Afghan are the enemy…and I appreciated that perspective as most in America tend to only have one opinion on that subject…and thus, Luttrell and Berg share a real worldview of the conflict and the importance of honor among all people. Not for the faint of heart, this film is a definite “do not miss” and is a welcome variance to the usual January-March movie releases. This immersive battle experience puts you right in the uniform of the Navy SEALs alongside them hoping for a weapon of your own to take up arms and fight as bullets fly. It is exactly that…an experience…and one not to be missed. I thank Marcus Luttrell for his service and for sharing his story with the world in his book and now in this captivating film that is both terrifying and tactful. 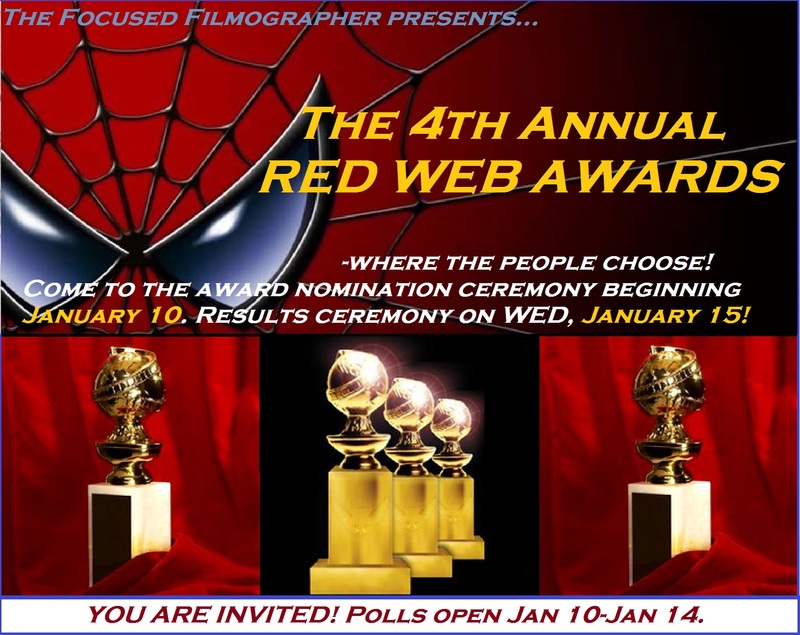 Coming up soon: The RED WEB AWARDS—my version of the Oscars. Do NOT miss them. I watched this one too yesterday. Lots of potential, but the third act is way too forced and mellow (the scenes with the kid, the music). 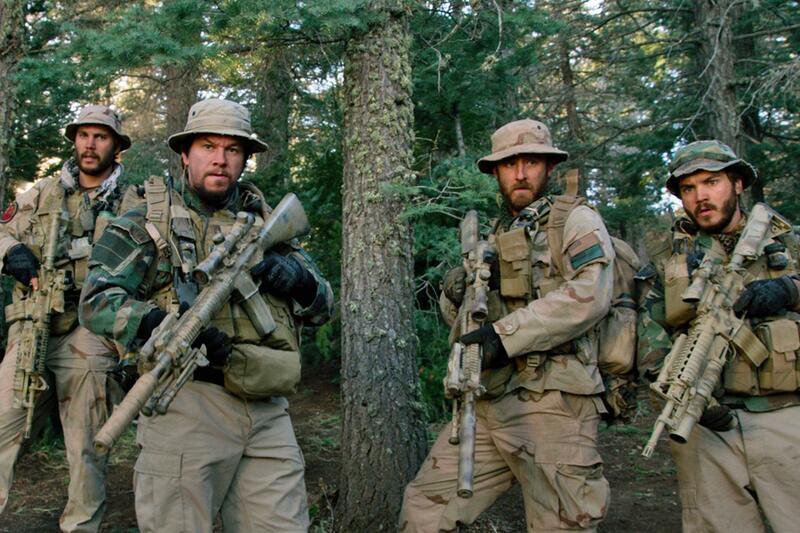 I don’t think Lone Survivor will stick. I have to disagree with you here, but I understand what you mean. I actually was glad to see a sense of humanity from a place where he didn’t expect it. and the music…well, it’s Hollywood. No one complains about it in Band of Brothers or Saving Private Ryan. ya know? Thanks for sharing your thoughts. What would you have preferred (without spoilers, of course) in contrast to what the film did? The more and more I think about this movie, the more I ponder whether or not it was a pro-war film, or anti-war one. Berg definitely seems to care for these soldiers and hold the memories of their lives in honor, but he also shows the dark side to it all and makes you wonder if this war we are battling is worth fighting for at all. Good review T.
Why does it have to be either, though? Why can’t it just be a movie without any political undertones and just be the SEALs’ story? Told from the viewpoint of a man who pledged his life to his country and did what he had to out of duty and respect, loyalty and love. I see what you’re saying and can appreciate it. But sometimes I think audiences and critics alike try to dig too deep into a movie that may or may not have any further message and thus make it less impactful. Just my thoughts. Thanks for chiming in. Did you like the movie? That’s a pretty high rating, T. To be honest, I’m not interested in this one at all, perhaps I’m just bored w/ Mark Wahlberg essentially playing the same character of a lone wolf. Despite the intriguing story, his casting dissuade me from seeing the film. Maybe a rental at some point. I understand but hope my review persuades you otherwise. Wahlberg did a good job. Thanks for reading. I really did not like the title of the movie as it really spoils the outcome. Next they show who will survive at the beginning and because of that I somehow did not get that attached to the rest of crew as you know they will not be making it. Thus a lot of the emotional impact this movie could have had was taken away for me. Despite that it was quite a solid film though.